Elder Law Group PLLC helps clients preserve family assets while providing the Medicaid care they need. Finding an attorney can be a daunting task. Selecting an Elder Law Attorney can be even more difficult. How can you know that the attorney has the skill and knowledge required to help you? Read on to discover what you need to know to find an Elder Law Attorney. An Elder Law Attorney is someone whose practice focuses on the legal and social needs of people as they age and people with disabilities. An Elder Law Attorney’s practice includes estate planning, asset protection, long-term care, and government benefits’ planning. What does an Elder Law Attorney’s practice look like from a practical point of view? An Elder Law Attorney helps clients plan for incapacity with decision-making documents, possible long-term care needs, locating the appropriate type of care, coordinating private and public resources to finance the cost of care, and working to ensure the client’s right to quality care. And, of course, an Elder Law Attorney will ensure the client’s estate planning documents contain necessary asset protection provisions not generally included by non-Elder Law Attorneys. Who might not be an Elder Law Attorney? If the attorney’s practice includes Family Law, Business Law, General Practice, Civil Rights, or other such non-related areas of law, the attorney does not likely have the expertise required to understand the complexities of Elder Law. What about an Estate Planning Attorney? 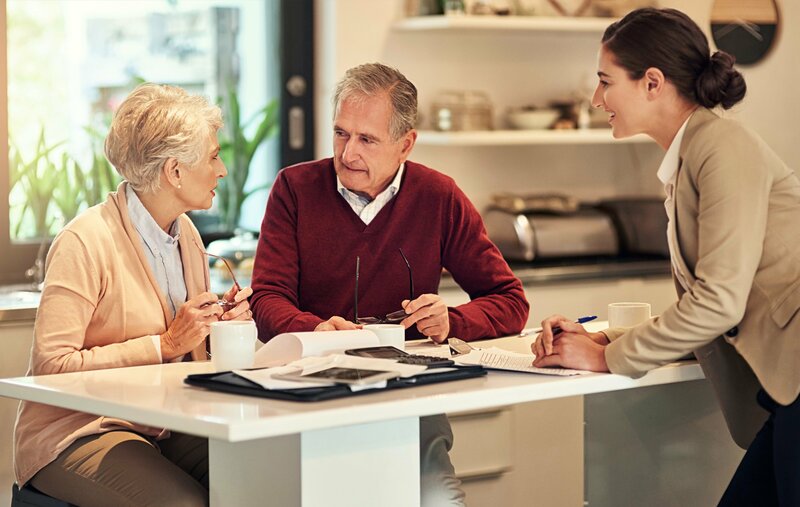 Typically, traditional Estate Planning fails to address the very important needs of protecting assets for people as they age, including asset protection and provisions for government benefits. What sources of information can help you find an Elder Law Attorney? People often consult Google.com to find services. We all know that the internet can be useful, but also may present inaccurate information. Nonetheless, you should view the attorney’s website to see if the law firm truly focuses only on Elder Law. Does the Attorney have recent testimonials from clients? Do your research! Look at client testimonials, but keep in mind that the attorney’s website will likely only contain favorable testimonials. What is the Attorney’s rating from various organizations? The highest rating from Martindale Hubbell is AV. The highest rating from Avvo is 10. What organizations should the Attorney be a member of? The primary organization for Elder Law Attorneys is the National Academy of Elder Law Attorneys (NAELA). Members of NAELA are committed to continuing their legal education and enhancing the quality of services they provide their clients. NAELA is an excellent resource for finding an Elder Law Attorney in Washington or in other states. In addition, in Washington state, attorneys dedicated to Elder Law should be members of the Washington Academy of Elder Law Attorneys (WAELA). What other questions should you ask before selecting an Elder Law Attorney? How many years have the attorneys practiced Elder Law? Is there only one attorney or more at the firm? You want the assurance of continued service should one attorney discontinue his or her Elder Law practice. In short, when looking for an Elder Law Attorney, you want to find one whose practice area is only Elder Law. Be wary though! Any attorney can call themselves an Elder Law Attorney. Ask questions about the attorney’s practice, expertise and clients served to see if the answers support the attorney’s claim that he or she truly is an Elder Law Attorney with the in-depth knowledge and skills you need. Join Lynn St. Louis and Jonas J. Hemenway, Elder Law Group Attorneys, on the south side of Spokane this month to learn how Estate Planning can protect your assets. Stop by our booth at the Three Rivers Senior Life Show and learn how Asset Protection Estate Planning can protect you, your loved ones, and your assets. Wednesday, June 13, 2018, 10:00 a.m. – 4:00 p.m.
or one of these wonderful opportunities below! Friday, June 1, 2018 at 8:30 a.m.
Thursday, June 14, 2018, 9:00 a.m. – 1:00 p.m.
Tuesday, June 12, 2018, 9:00 a.m. – 4:00 p.m. The 10th Annual Three Rivers Senior Life Show – Free Admission! Wednesday, June 13, 2018, 10:00 a.m.- 4:00 p.m.
7th Annual Caregivers Conference: Which One Are You? Monday, June 25, 2018, 9:00 a.m. – 4:00 p.m.